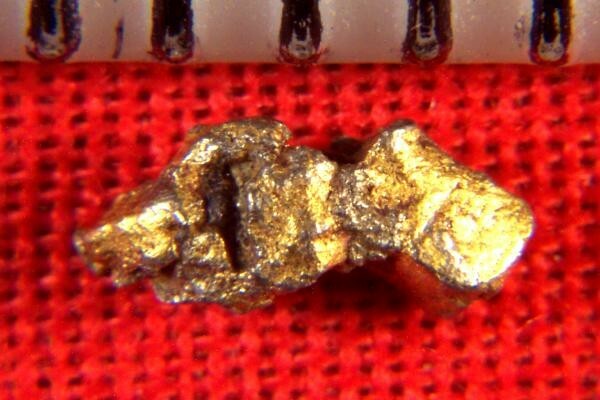 This is an incredible natural gold coated platinum multi-crystal platinum nugget from Kondyer Massif in the Eastern Siberian Region of Russia. 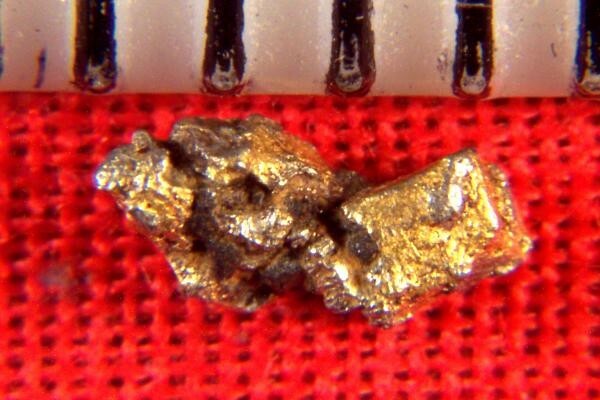 These platinum nuggets are very rare, but to find platinum nuggets from this location that are naturally layered with gold is incredible, and to find one at such a low price is unbelievable. This platinum crystal has a lot of gold layered onto it. It's not often that you will get a chance to pick up such a rare platinum specimen so inexpensively. 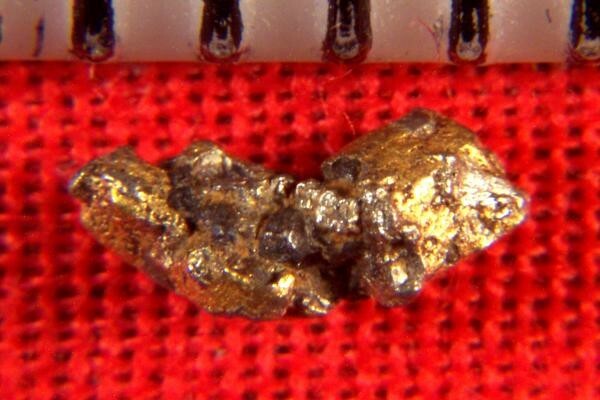 This rare platinum specimen is 3/16" (5 mm) long, and weighs 2.9 Grains (0.19 Gram). It comes with a location card authenticating the discovery location and certifying the fact that it is a natural platinum crystal nugget.